My Mia is all about you—your membership benefits, your activities, your interests. Use the benefits that work for you! Be among the first to see the season’s top exhibitions. 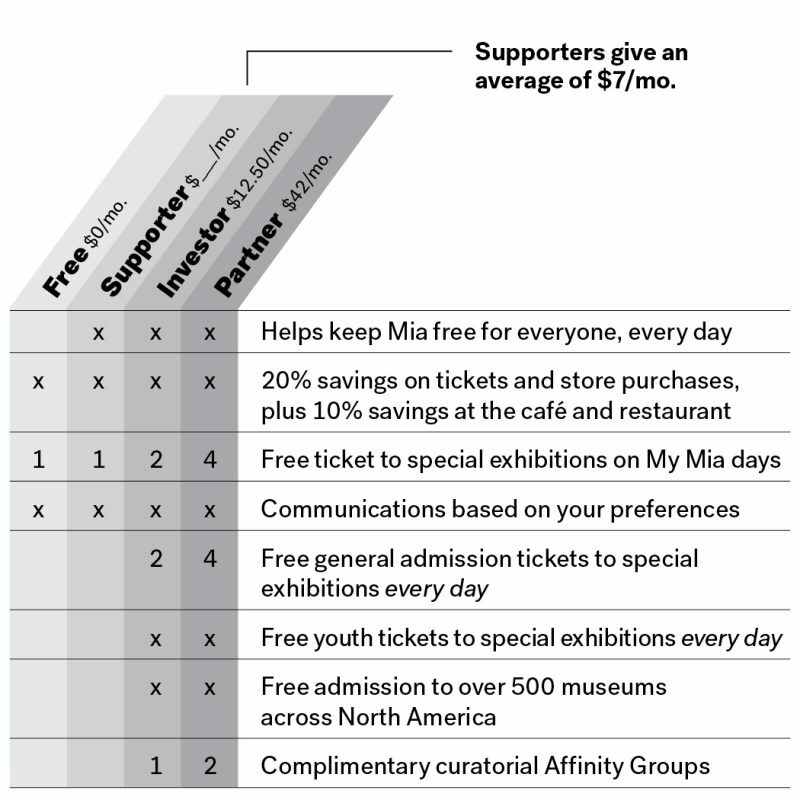 Come during free My Mia member days, visit at your convenience and save on tickets, or upgrade to the Investor or Partner level for free tickets. General admission is always free. My Mia members receive a 20% discount on exhibition tickets and purchases in The Store at Mia, as well as savings on talks and classes. Watch your email for messages from My Mia. Catch the latest about member days, access to special events, news about the museum, special shopping discounts, and other insider information. Sign up online, call 612.870.6323, or talk to a Mia team member the next time you visit. For detailed instructions regarding stock or wire transfers, please contact Advancement staff at 612.870.3011 or advancement@artsmia.org. 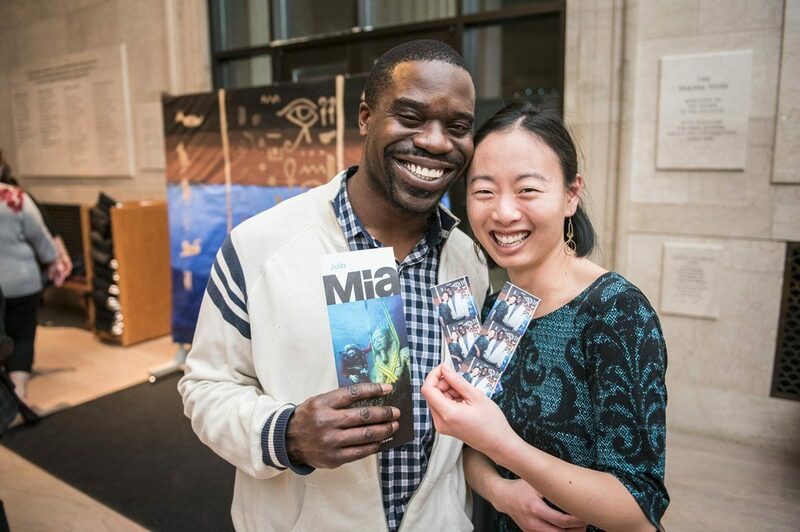 Contributions to Mia are fully tax-deductible to the extent permissible by law. Please consult your tax advisor to determine eligibility. Mia’s Affinity Groups are a great way for My Mia members to connect more closely with special areas of art interest.